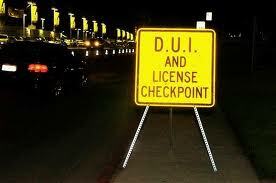 The Elk Grove Police Department will conduct a DUI and license checkpoint tonight. The checkpoint will be held at an undisclosed point within the city starting at 7 p.m. until 3 a.m. Saturday morning. Educational materials covering the dangers of driving under the influence will also be handed out to motorists. The public is encouraged to call the Elk Grove Police Department at (916) 714-5111 (emergency line) or 911 if they observe a suspected impaired driver. Funding for the checkpoint is provided through a Selective Traffic Enforcement Program (STEP) Grant that was made available by the California Office of Traffic Safety through the National Highway Traffic Safety Administration. For additional information, please contact Sergeant Dan Schnepple at (916) 478-8116.